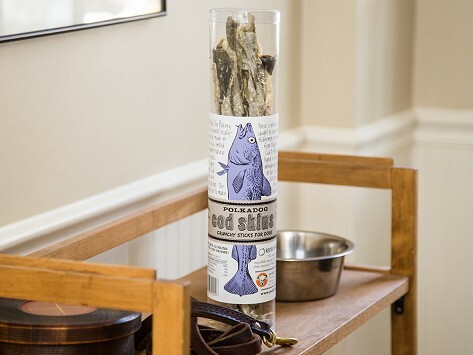 Polkadog Bakery’s Cod Skins are locally sourced and packed with omega 3 fatty acids. These hand-rolled chews are slowly dehydrated, making a perfectly crunchy, single-ingredient snack for your pup. Love this sight. And love these treats. Can’t get enough. Shipped really fast. My dog loves these all natural made in USA. Treats. Thank you. You can get an indoor swimming pool when you buy these! 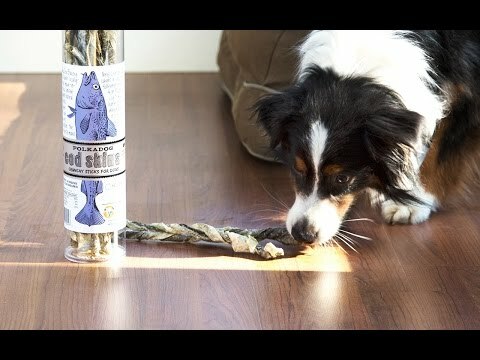 Our dogs are not accustomed to seafood, so I was pleasantly surprised when they loved these treats!